29) September Stampeders Tailgate Party. McMahon Stadium. Display. 27) August 25 Fastest Woman in Canada Testing Session, MHDRA Raceway. Medicine Hat. 26) August 19 Fire Up display at Mr. Lube, 130th Ave SE. 25) August 15 Hot August Night, Castrol Raceway. Nisku, AB. Drag Race. 24) July 28-29 Fastest Woman in Canada Testing Session, MHDRA Raceway. Medicine Hat. 23) July 20 Fire Up at Auto Canada Track Day Dark --- with CanadaOne and AutoCanada. 21) July 13-15 DragRaceCanada Castrol Raceway’s Catchall! Personal bests, and a few wild rides. Check out the Event Montage from the 2018 Rockies! 19) July 13-15 Rocky Mountain Nationals, Castrol Raceway. Nisku, AB. Drag Race. 18) July 7 Dark Side Racing Fire Up at the South Trail ChryslerShow & Shine. 17) July 1 PROSTAID Calgary's Fun in the 50's Festival and Car Show featuring Fire Up. 13) June 17 Prostate Cancer Canada's Do It For Dads Walk & Run. Eau Clare Market. Fire Up. 11) June 2 - 3 Fastest Woman in Canada Testing Session,Castrol Raceway. 9) May 25 - 26 Fastest Woman in Canada Testing Session, MHDRA Raceway. Medicine Hat. 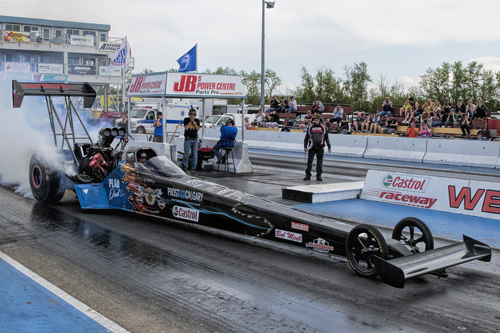 7) May 5 - 6 Fastest Woman in Canada Testing Session,Castrol Raceway. 5) April 28 - 29 Fastest Woman in Canada Testing Session, Mission Raceway. Mission BC. 4) April 27 Canadian Tire --> Grand Opening Fire Up, Tsawwassen BC. 3) April 20 - 22 22nd Annual BC Classic & Custom Car Show. Abbotsford, BC. Fire Up.